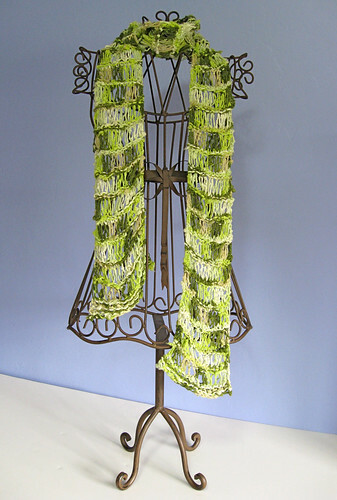 made by telaine: Scarves for summer?! Are you a closet scarf addict? I know at least one if I don't count my knitty friends so I'm sure more are out there. Winter scarves are likely stored for the season. But just because it's a bit balmy out during the day doesn't mean the cool breezes won't blow at night, on the beach — or in your A/C-overloaded office. 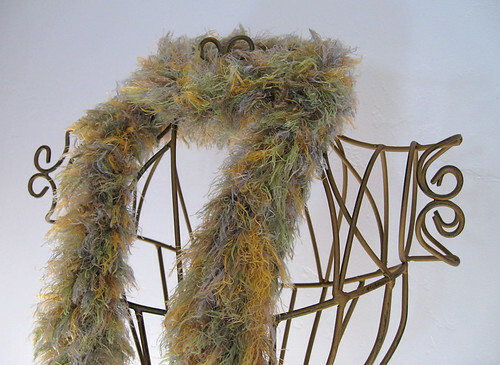 The newest addition is a super-soft airy scarf. 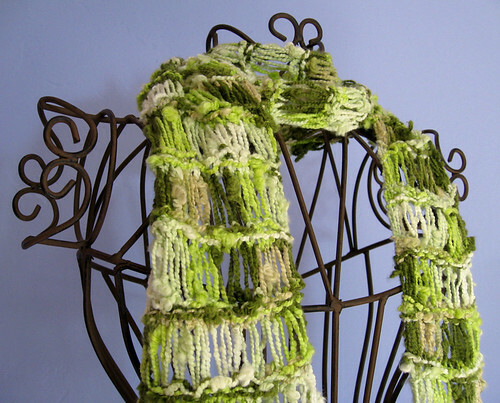 I knit it up with a cotton-blend yarn in greens and whites. The next two — Tidepool and Seashell — are priced to move. 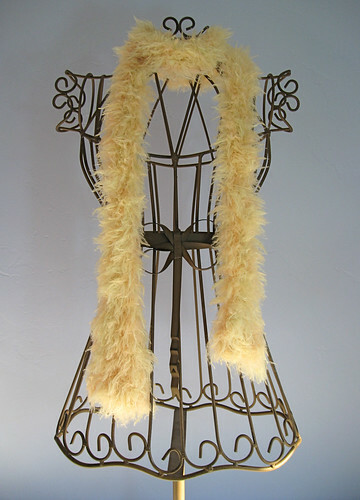 These fun furry scarves are perfect for the little girl who likes to play dressup. 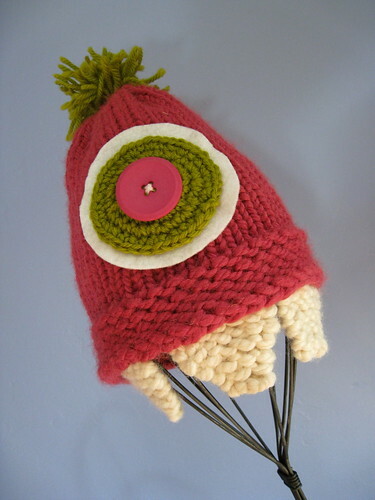 Or for the adult who wants to add a touch of whimsy to her outfit. They are a little warmer than the first scarf but still perfect for a cool summer day. Speaking of new toys, I also got this nifty head form from Loops & Links, too. Now I can hone in on the three-headed mutant demographic. 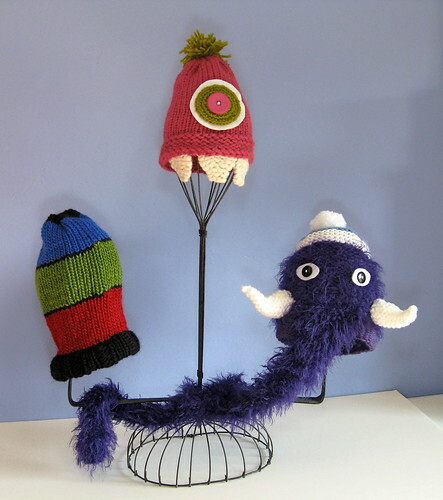 In the meantime, they are just the right size to model my children's hats — like the Pink Monster.